That is a great story- I love it! 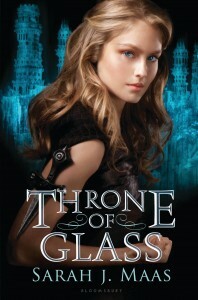 I have an e-galley of Throne of Glass though I tried to get a physical copy at BEA. Alas, I was always doing something when the book dropped and then needed to get in line for Chris Colfer when Sarah was signing (I also didn't make it there fast enough and there was a HUGE line already for Sarah- it was crazy). I cannot wait to read this book though!